Jaycee is available to attend events & schools in our surrounding counties. All appearances are based on availability - Please email Zac Clark at least one month in advance to inquire about availability. 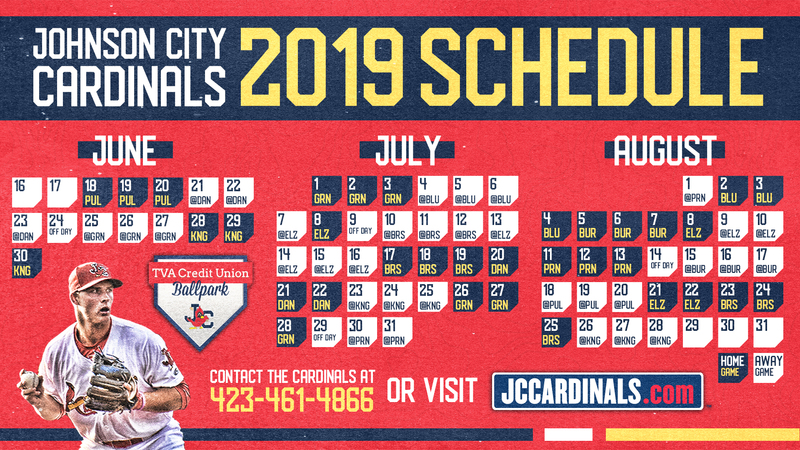 A Johnson City Cardinals staff member is available to speak for your school, group or club sharing information about the team, working in sports, and upcoming events. Please email Zac Clark to schedule a Johnson City Cardinals Staff member to speak to your group. Tours and speakers are also available to school groups wishing to take a tour of TVA Credit Union Ballpark and learn about the team and jobs in the sports industry. The schools who would like to be involved will be able to create their own requirements for the reading program, and will keep track of what students complete it. Schools will turn this information in to ckoontz@jccardinals.com by April 1st. Students who complete the program will be given two free tickets to Sunday, July 21st, and those tickets can only be used for that specific game. The program is completely FREE and is meant to be a fun way to encourage kids to read! The Cardinals receive hundreds of requests each year for charitable organization events. We donate tickets or merchandise to as many of these organizations as possible. Requests are processed in the order they are received via email by clicking below. Please state the name of your organization, date of the event, and who the event will be benefiting in the email! Thank you for thinking of the Cardinals for your donation requests!